RO water purifier for any type of water. At time when most companies entered Water Purification field only to make money and grab the opportunity, but we Pure H2o Systems, came into existence keeping in mind the vision to provide easily accessible, Clean, Potable, Pure, Safe and Healthy Water which will improve lives of all Indians. This thought grew up into a brand which you all know today as Ultra Water Purifier. Pure H2o Systems started long back in the year 2006, and since then we are one of the leading manufacturers, traders and suppliers of Drinking Water Solutions. In our highly advanced R&D centre we develop our own technologies of water purification. Our sophisticated manufacturing unit and excellent infrastructure helps us safely and hygienically manufacture a wide array of products. To achieve the best water quality in any condition our each and every machine has to pass through multiple and stringent quality checks. Further, this helps in assuring you the Best Quality, Timely Delivery and Superb Service. We are able to create a niche in the industry. In addition, we also facilitate our clients by offering them our range of products at market’s best prices. Observing the ever increasing demands of our products on commercial grounds we also started making Commercial Water Purifiers. We have a wide array of commercial products with the same best quality and safety standards as that of our domestic range. 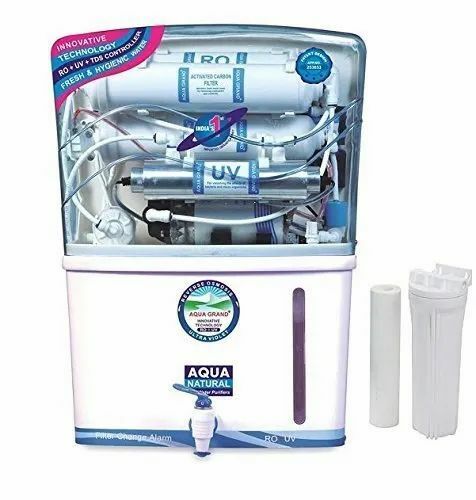 We are distributers of Blue Star, Voltas, Atlantis and Usha make of Water Dispensers and Water Coolers. We are also manufacture and supply domestic and commercial Water Softeners. We are dealer of 3M Home Water Solutions and provide sales & service support. We are one of the prominent suppliers of a wide collection of Tea-Coffee vending machines, Tea-Coffee Premixes. Our range is extensively used in homes, shops, offices, hotels, hospitals and other industries.